I’m not building my own. I know, I know. I just don’t want to. Pish! 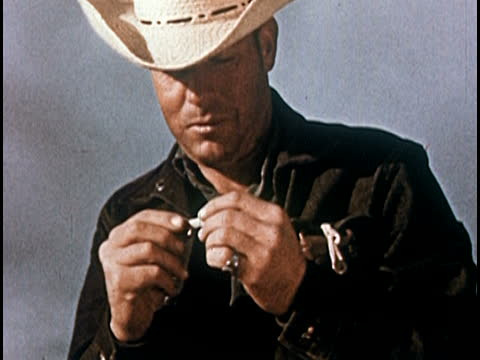 a real man rolls his own. JetLine has great customer service. Still using my 2014 JetLine machine for FSX. CyberPower PC built and shipped it ahead of schedule. Worth checking out maybe? I thought Paul’s rig looked good, and personal experience with a builder if not building your own is invaluable. @BeachAV8R - you’re picking at not a bad time I think, in that the next Nvidia card is a way away on the top end, and the Intel stuff seems quiet for a bit (maybe Ice Lake 2021 ish, with Comet Lake before that?). I’m very happy with my Falcon Northwest computer. I would recommend them to anyone. 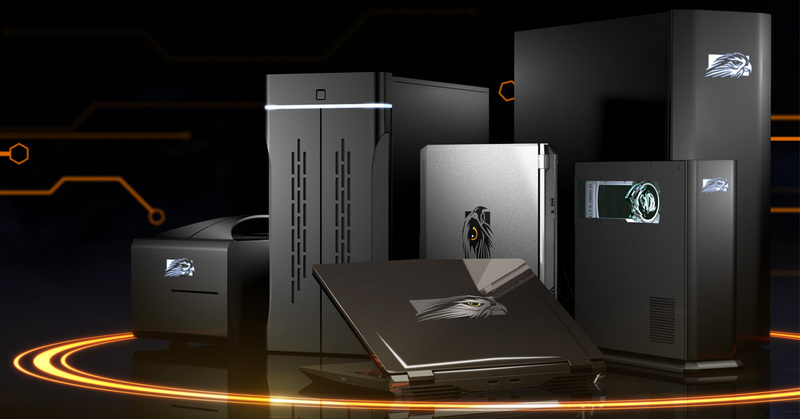 We build high-performance PCs for gamers, enthusiasts, business & military use. We custom build systems for anyone that needs more than an off-the-shelf PC. One can dream, can’t he? Well, I pulled the trigger on a new computer. Should be here in a week or so. Just like my old computer, I’m looking for something that will get me through around four years or so. I’m pretty happy with my current rig (i7 4770k and a 1080) and could probably wait a bit longer, but hey…when you get the nod you sort of act like the Pentagon and spend the money. I’m going to be doing a lot of traveling in the next few years, so I wanted something far more portable than my old Cooler Master tower, which has served me well. I actually really wanted to like the Lenovo C730 Legion cube design, but I dug into scads of reviews and there seemed to be some concern about performance, throttling, and heat. It also maxes out at a RTX 2080 and I wanted to pay the premium for a 2080 Ti. Yeah, yeah, I know. Poking around a bit more (for days) I finally settled on an MSI Trident X Plus 9SF-054US. Lots of ports and connections that should suit my gaming needs. The 512GB M.2 is probably a little small, and the 2TB secondary drive won’t get me far. There is another slot on the side for another drive, I’m not sure what I’ll want to put in there. Maybe a big SSD, not sure. Has anyone had any experience running an external drive bay of some sort with these faster data rate connections? I do it for my laptop with a tiny external SSD and it seems to work fine. I see some 2TB M.2 drives going for around $200, so maybe I should just upgrade that right off the bat. I don’t know anything about those types of drives and what will fit in what I bought, so I’ll have to do some research there. I could probably live with a 2TB M.2 and two more 2TB SSDs and ditch the 2TB HDD that comes with it. Anyway - looking forward to it getting here. I’m curious how the i9 will do with some CPU intensive games. Also looking forward to perhaps some increased performance in VR. It is funny how you went from a large case to a more compact one while I did the opposite. The difference being that my Asus G20 really was very limited in upgrade options, while your new rig seems to be far more future proof. I went with the big case mainly for cooling because of my experience with the G20. 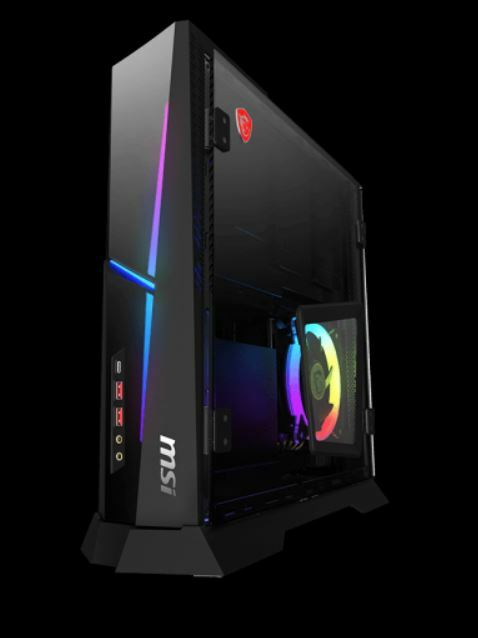 It looks like MSI put some thought into that problem with your system though. I like how the graphics card has it’s own compartment for example. Looking forward to hearing your thoughts when you get it. so. I’m pretty happy with my current rig (i7 4770k and a 1080) and could probably wait a bit longer, but hey…when you get the nod you sort of act like the Pentagon and spend the money. Yes indeed. A green light means GO! Right now, before something else crops up that the money could/should be used for. Actually, you could likely save yourself a few bucks and drop down from that i9. It’s really overkill for 99% of applications out there. The i7-9700K is more than enough for gaming. Some even say the i5-9600K is enough, but I’ve always been partial to the x700K series myself. I am bookmarking this thread for when I make the next leap. How much did you pay? If the number is really wide we can adjust the forum styles to fit the number in temporarily. It’s a neat layout, and the main advantages are the portability and convenience of a console-like purchase. The downsides would be the price (vs components of just plugging it in yourself) and the air cooling, which limits how you could push the hardware a bit more. It looks like a really nice system. Gulp. $3300 including all taxes and an add on 4-year warranty in case I smoke something. It lists for $2999 and I didn’t wait for a sale this time. I would guess a home builder might be able to put together the same system for $2400 or in that ballpark perhaps. The 2080Ti definitely upped the price. It looks like a fantastic system, so it was more the case (heh) that if you listed the specs then people would want to know the price. I mean, it’s a PC, you could spend that on a single shiny bit for a boat or car in about 10 seconds, so value is relative. Now I have to map out a strategy for moving my X-Plane, P3D, and DCS installs to the new machine. X-Plane is pretty straightforward drag and drop. The others might have more embedded registry type tentacles. Wow. Yeah that’s a beast of a PC, and quite a price. You can replace the standard HDD with an equivalent size SATA SDD for ~$250 now. I haven’t had a lot of problems using a 4TB USB 3.0 drive for general file access, though I use that as my backup drive. The weak spot remains the NVMe SSD and HDD and I’m not fond of the 2666MHz speed on the memory, nor of the PSU, but they’ll still work. Important thing is whether it works for you! X-Plane, as you say, is drag and drop. DCS is pretty much the same. I moved the files and ran the repair function on Skatezilla’s app. You will have to re-enter the registration codes for those modules you have that still use them. Wow, talk about a buzz kill.